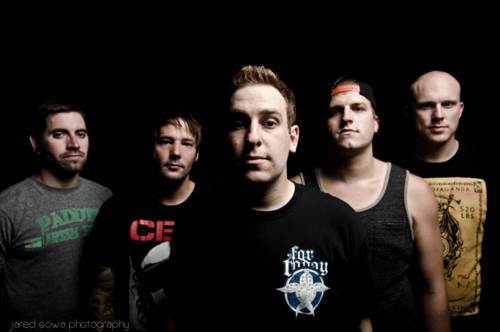 In what seems to be one of the best tours of 2013 so far (at least that have been announced), Los Angeles metalcore group The Ghost Inside will be going out on a headlining tour with Stick to Your Guns, Stray from the Path, and Rotting Out this Spring. Trekking all across the United States, there is a very large possibility this tour is heading towards your city, or at least one close enough to drive to. For those unfamiliar, The Ghost Inside put out their sophomore release Get What You Give in 2012, and if you haven’t picked that up already, do it now because you’re pretty far behind on one of the better metalcore albums of this past year. You can check out the tour post after the break. It’s time to get your moshin’ boots broken in, cause it’s going to get wild come March. Returners was their sophomore release, Get What You Give is their third release.